It was clear from the start of the project that the website needed some big & bright photos to illustrate and sell the business. We wanted to add more interaction with the user so placed all the large banner-style photos in 'parallax backgrounds' that seem to move against the user's perspective as the page is scrolled. Apple mobile iOS devices and some Android mobiles are notorious for reacting badly to parallax code but a way was found to overcome this and produce the same beautiful effect on any device. 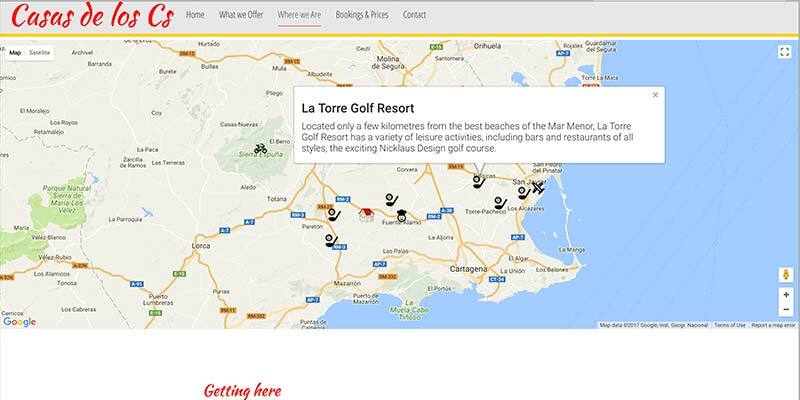 We included Google maps with custom icons to highlight the property location in respect to golf courses and other local features. 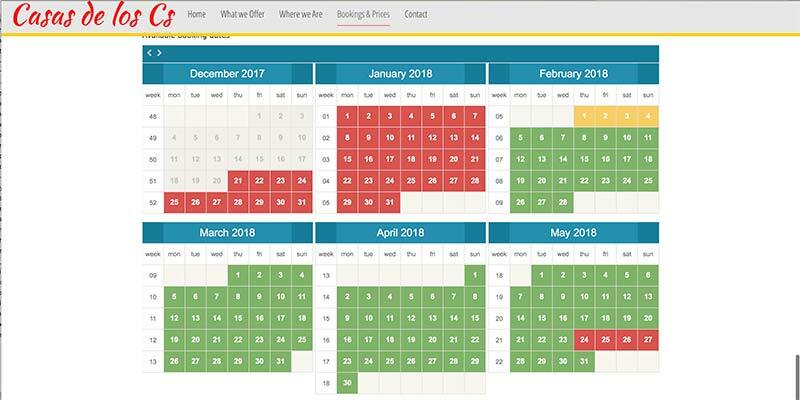 We also adding a simple holiday booking calendar to let the owner show available dates. 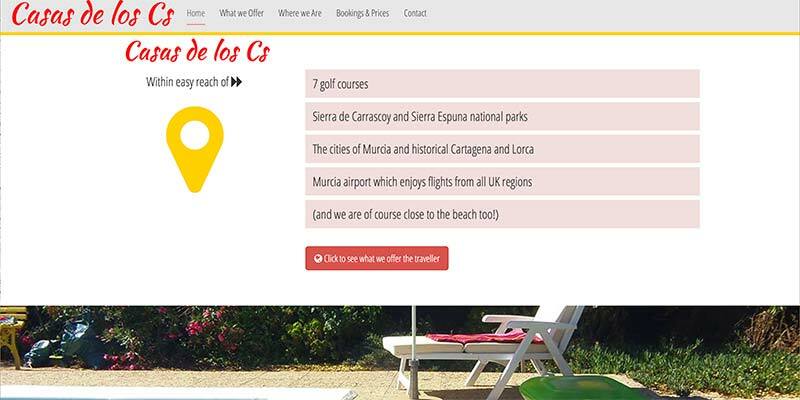 This is flexible to allow them to take online bookings at some stage, should they choose to do so. 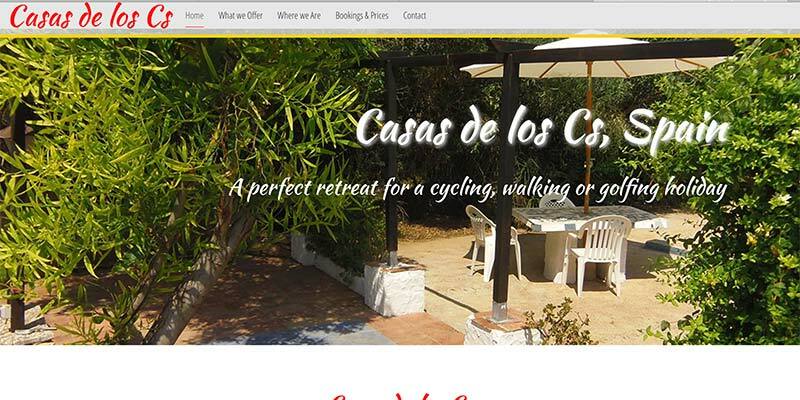 The home page uses scroll events to show the main bullet points one-by-one as the user scrolls the page, helping reinforce the holiday selling points. Naturally, the website is fully responsive and works on any device.